I recently acquired several unpainted cabinet doors (see pic). 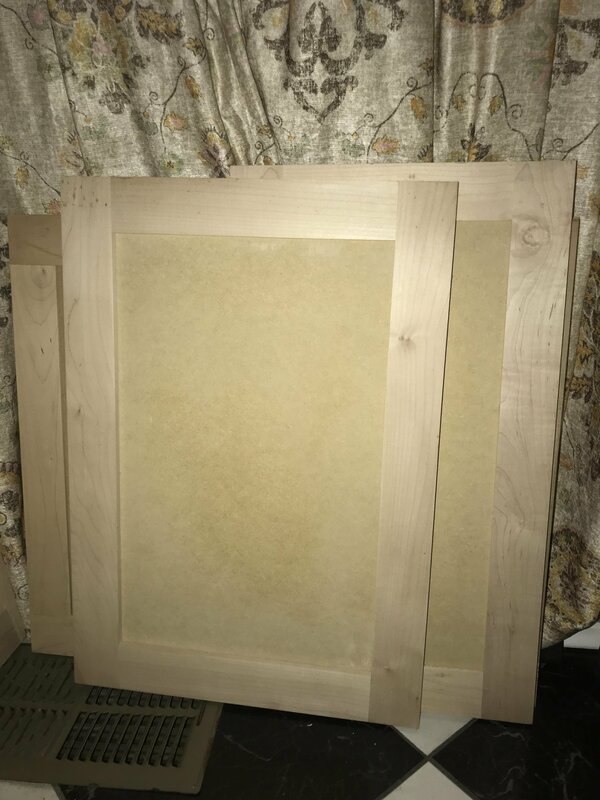 The frames are maple and the center is paint-ready mdf (1/2” thick). I am planning on using them as-is for oil painting. I will size the mdf and seal the back before painting. 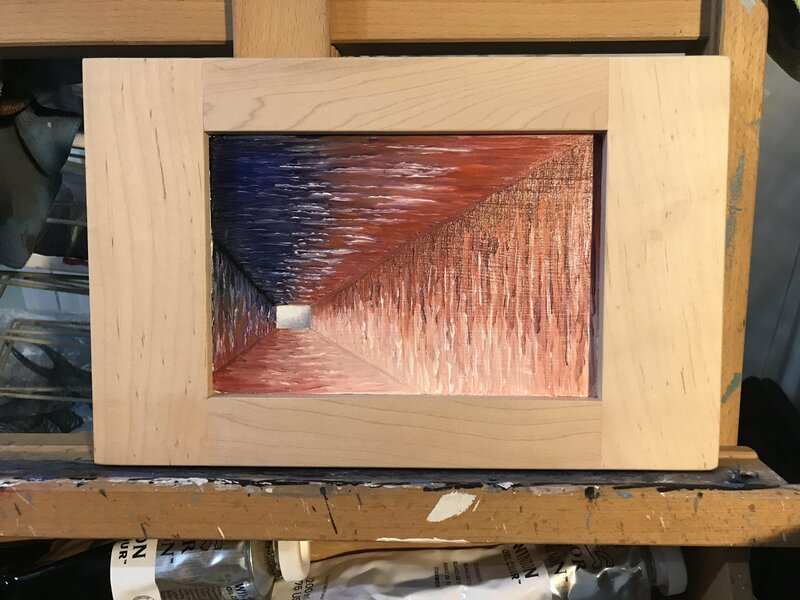 Do you think the fact that these are cabinet doors (pretty obvious from the other side) will lessen the value of my paintings? I am ok with using mdf in general, I understand it is not considered archival quality. You follow the example of Kazimir Malevich, who sometimes painted on such things. In the artistic world, originality is what is valued most; to create something different. But it also depends on whether the frames go together with the motif. Thank you for your response. I’m going to mic different color stains for each piece. Here’s a sample without stain. I do it all the time and they sell quickly! I could show you a couple I have done recently but I'm not sure that is allowed here. I see that someone else posted an image here, so I will go ahead and post one. 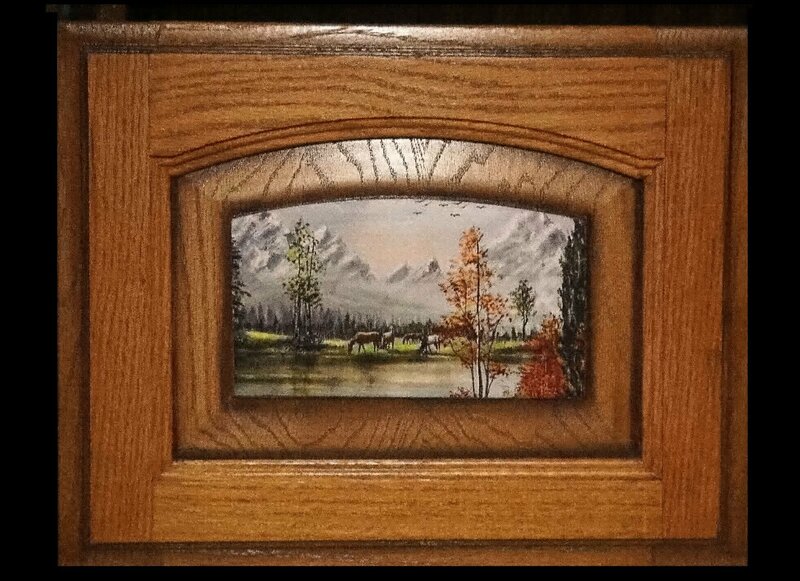 I painted the picture, made a print of it and put the print on a cabinet door. I've learned that it's hard to find cabinet doors now. In case this is NOT permitted, I'm sure admin will delete it.